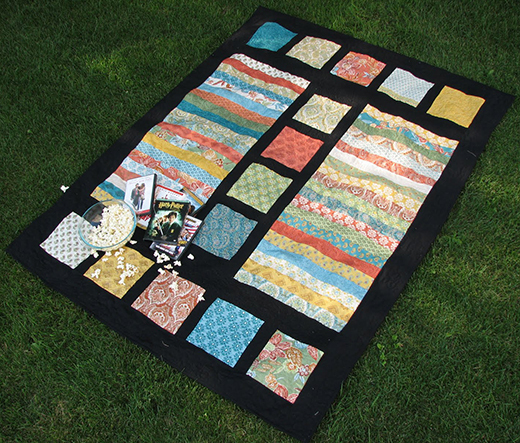 This Film Strip Quilt designed by Cara Wilson of CaraQuilts for Modabakeshop, The Tutorial is available for free. "Film Strip will work with any fabric line, and any solid or contrasting color can be used in place of the black. I think this would be very striking in any of the new Batiks Moda is coming out with soon. And of course, I love it in Prayer Flag!"